I have been asked many times if the main topic of the retreat was about our adoption journey and where the name Fierce Faith came from. And the answer is no. While our adoption journey was a part of our conversation, it was only highlighted and not the main topic. After being asked to speak, I wasn’t sure WHAT my topic was going to be. Over the previous year, my life had drastically changed. 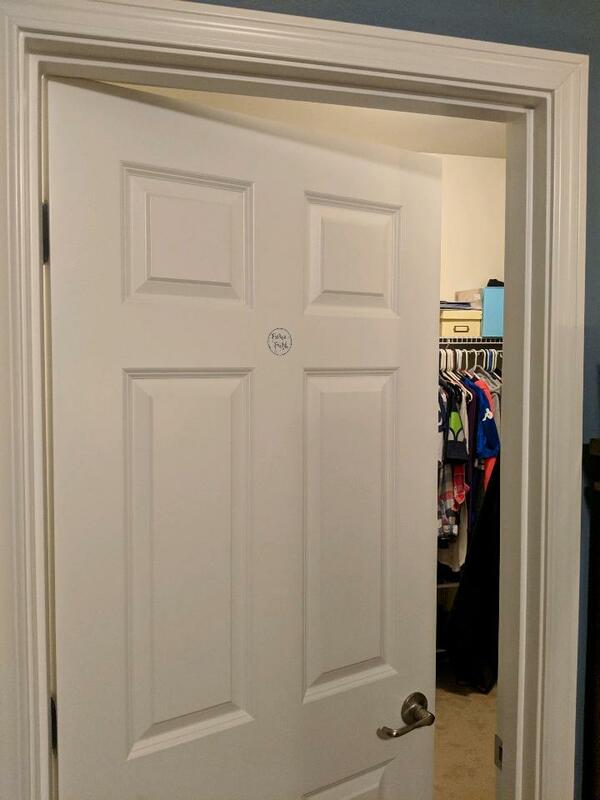 And while yes, a part of that was from our adoption, the drastic change came from a major shift in personal identity in the many things that I had clung to and loved. So, when I was asked to speak, I wasn’t sure what I would speak on because so many things had happened. But I felt like Faith was the main topic. And not just a simple faith, but a FIERCE Faith rooted and defined in Christ. Our discussion was broken up into three main topics over four days in which we took a more apologetic look at what Faith really is. Since Faith is such a LARGE topic, it was really important for me to get back to the basics. Back to the true definition of Faith vs. the distorted and redefined view of how the world currently views faith. In my late college years and post college years I really fell in love with apologetics. It was then that I also began cross-examining world views and other world religions to scripture apologetically, and came across incredible resources that helped me dive deeper into a better understanding and knowledge of these topics. One of may “favorite” (I quote this word because I apparently used this word a LOT throughout the retreat. LOL) but really, one of my favorite resources to utilize is CARM.org (Christian Apologetics & Research Ministry). Other incredible resources are RZIM.org (Ravi Zacharias International Ministries) and Ligonier.org (Ligonier Ministries). All of these websites help the Christian thinkers actually THINK as well as answer life’s difficult questions with thoughtful answers. Friday: How the world defines and misinterprets faith. And what the true Biblical definition of Faith is as defined from the Greek and Hebrew translations. Saturday AM: What Faith is NOT: Wishful Thinking, an Absence of Evidence, Blind or Surrendering One’s Intellect. To try and sum up the weekend in a blog post would be to try and recreate all that took place, which is impossible. But what I can say is that lives and hearts were challenged, changed, and moved in a MIGHTY way. And to be a part of that was incredible. 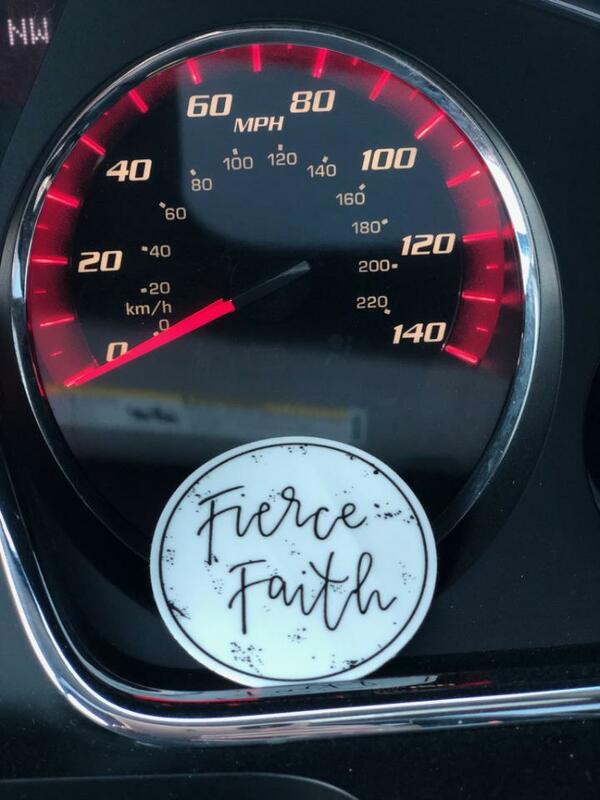 In the posts to follow, I will be sharing part of what I spoke on in a blog mini-series on Fierce Faith. My prayer is that it would encourage, edify, and speak life to those who will read it. 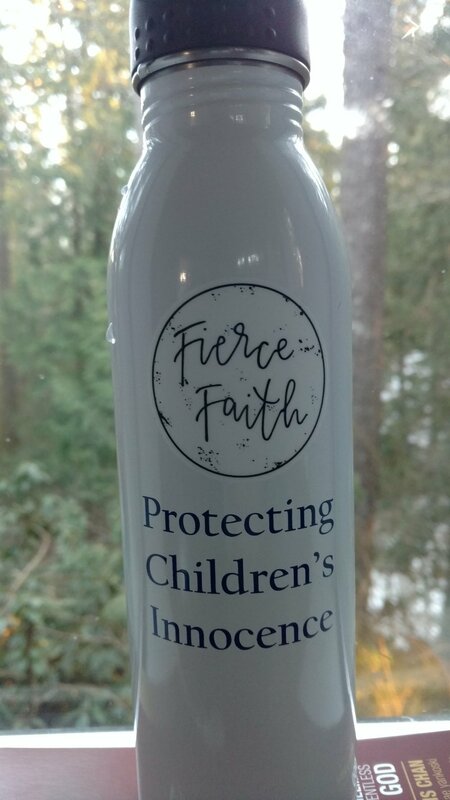 One of the things each attendee received at the retreat were special little Fierce Faith stickers designed by my niece, owner and creator at Simple and True Co. I wanted each woman to leave with a reminder. A reminder of what God spoke to them that weekend. That the weekend wouldn’t just be a time to consume and absorb the truths of God, but that they would leave with an active, bold, and Fierce Faith lived in action. It has been fun to see where these reminders have been placed! The laughs that were had were many! The conversations were deep, uplifting, and so encouraging. I already cannot wait for next year’s retreat! I hope you will join us!